Many front-end developers prefer Foundation over Twitter Bootstrap, its more well-known counterpart. Foundation was created with a mobile first approach. Not all foundations have enough funds to pay thousands of dollars to develop a website. If you need to put together a site for your foundation, WordPress is your best friend. 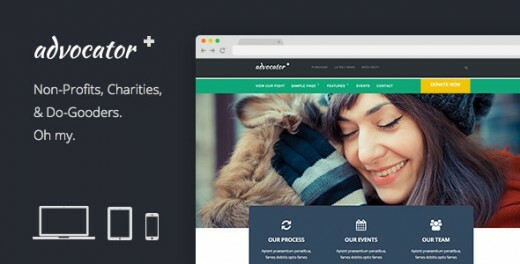 In this article, I have collected more than 15 high quality premium foundation WordPress themes that you can use for promoting your online charitable work. Give them a look, and let us know your thoughts in the comments. 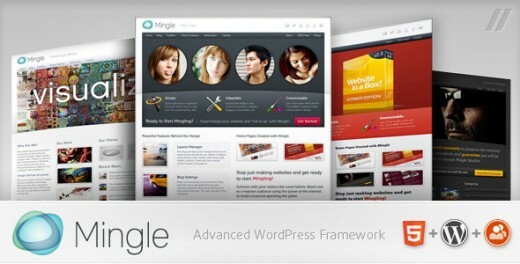 They are dynamic galleries which are continually updated with the best new high quality and professional WordPress themes. If you enjoyed this post, please consider to subscribe to the feed and get future articles delivered to your feed reader. You may want to take a look at the following related articles: Fresh Free WordPress Themes 2014, Free WordPress Navigation Widgets, Free WordPress Backup Plugins and Premium WordPress Themes for NGOs. It’s a clean and elegant theme, developed mainly to setup charity,NGOs, political, nonprofit orgnizations ,church, donationand corporate websites. Using the color scheme of your choice by using color picker make it elegant and high visual impact experience. Features: Wide layout (1180px), Fully Responsive, Powerful Events Feature, Causes, Donations (PayPal powered), Dynamic Homepage, Full Width Slider, Custom Widgets, WooCommerce, Ready, BuddyPress Ready, Translation Ready (.po .mo included), Clean Code and more. Kause is a super flexible WordPress theme designed for churches, charities and non-profit websites. A beautifully designed multi-purpose WordPress theme, perfect for charities, churches and non-profit websites in including political campaigns. Charitas is a simple and clean but still professional WordPress template that is best suited for Charity, NGO (Non-governmental organization), foundations, churches, political organizations etc. AidReform is a clean and elegant theme, developed mainly to setup charity, NGOs, nonprofit organizations, church, donation and corporate websites. It’s a clean and elegant theme, developed mainly to setup charity, NGOs, nonprofit organizations, church, donationand corporate websites. Green Theme is a Responsive WordPress theme perfect to promote your environmental projects or your green products business. Spotless, Fresh, up to date Design can be used for any type of website, Constructed with HTML5 and CSS3, Stress-free and quickest way to build your website, Comes with a Sticky Header for more advanced usability and more. Relief is a highly customizable Responsive WordPress Theme designed with Charities and other non-profit organisations in mind. Relief comes with a fully featured theme options panel, so editing the theme is quick and easy.